HANA was incorporated in September of 2008, borne out of a chat room session (or six!) at Paceadvantage.com. 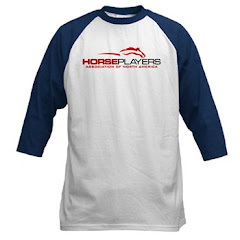 Our first full year was 2009 and we would like to recap what we have tried to accomplish, and in some cases did accomplish in 2009, as a group of concerned horseplayers. In 2009, as a fledgling group of around 400 members, we began the year working on our track ratings system. After many meetings, emails, reading studies and so forth we settled on the measurable metrics for the system. Those were, field size, takeout levels and player-friendly bet variety. The University of Louisville study pointed out the benefit of added field size to handle, we all knew about takeouts thanks to numerous studies and common sense, and perusing chat boards and player comments, as well as handle changes, we knew wager variety was also important. After much work by board member, engineer and horseplayer Bill from Texas we released the Top 65 tracks in North America. A few weeks later we came up with version 2.0, which updated several figures, and we added 7 tracks. Keeneland was the number one rated track, and we created a new player resource section on our website whereby all these numbers could be seen by everyone in racing. It is one of the most popular pages on our site. We are very happy that some tracks for 2009 have taken some of the ratings to heart, and have begun to look for ways to improve. The track rating system was a boon to membership numbers, and generated a lot of interest from members and the press. Being a small organization, funded almost solely by donation, we do not have the cash to promote our group via traditional means. Having the ratings released on Paulick, Bloodhorse and Equidaily helped us immensely. We thank each and every one of them, as well as all those in the blogosphere who helped us get the word out. With Keeneland number one we decided to head to the Kentucky track for our very first HANA day at the Races. It was great fun to meet a whole whack of horseplayers and Keeneland threw out the red carpet. Everyone had a great time. While there HANA President Jeff Platt was interviewed on TVG. Not having any television experience Jeff was a bit antsy, but he pulled it off. It was interesting watching the signup page during his interview and the time immediately after - about 60 people signed up to HANA. We had reached 1000 members. Also at Keeneland we got to meet Mike Maloney, the well known horseplayer. We knew Mike was our kind of guy when we saw him handing out HANA flyers all on his own. Mike joined the board as VP of Wagering Compliance in May. It was a welcome addition. As well, in April at Keeneland, the table was beginning to be set for a change in the way scratches are delivered to horseplayers. Jeff Platt met with Hank at Equibase to start the dialogue on creating a "scratches today" area on the equibase site. In late April we hit the conference circuit. Board member Dean presented at the Gaming Summit in Windsor Ontario on two panels. 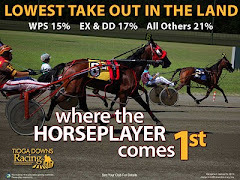 One, the future of wagering was about bringing the game to new generations and the second was on betting exchanges, and horseplayer concerns with the pari-mutuel system in general, versus fixed odds and peer to peer wagering. About this time Ross Gallo and Mike Mayo proposed getting people together to bet some pools and build more of a following. We worked on bringing people together and achieved some excellent handle bumps in the process. More members signed on and we had a little fun doing it. With the summer blahs, and so much to do we discontinued that (it was a ton of work each week), but might revisit it in the future. We thank everyone who participated and helped, including Mike at Paceadvantage, Craig at Trackmaster, Craig at Pacefigures.com, Jerry Brown at Thorograph, Peter at the Perikan Money sheet, and everyone else we are sure to be forgetting. In May, Mike Maloney was front and center on the Hollywood Park potential past posting incident. Ray Paulick picked up the story and ran with it. Wagering security, late odds drops and the general problems in the pari-mutuel pools became a big story in 2009. With our help we think the TPRB and others have it on their radar for this year, as was recently announced. We plan to keep the pressure on with this very important item. Also in May, Mike represented HANA in front of the Racing Commissioners panel on wagering integrity. In June, the CHRB in California was looking at takeout hikes yet again. Jeff Platt put some pressure on them, and wrote an open letter to Kirk Breed. This letter was released on many chat boards and via email, as is the case with many HANA iniatives. 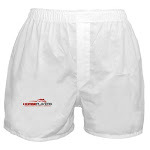 We appreciate the support on these and other items. In July we spoke to the new wagering honcho at Yavapai Downs Greg "Boomer" Wry, about trying to work together to make some changes in Arizona racing, and at Yavapai in particular. Jeff and several HANA members made the trip for the productive set of meetings. Jeff went back in October, and talks are ongoing in Arizona with the track, horsemen, and the state. 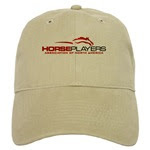 In September HANA made two new appointments: Charlie Davis from Seattle was appointed to the HANA board, and John Pricci of horseraceinsider.com was appointed to the Advisory Board, joining Messrs Meadow, Mordin, Ziemba and Fotias. We welcome them both, and since their appointments they have been huge supporters - Charlie with the day to day work and John on his website and with industry contacts. Thanks to feedback from Andy Asaro and others on Paceadvantage we created "HANA Reports" which is a webpage/blog where member feedback, or any pressing issue we are working on is to be updated. We scan websites, chatboards, facebook, our email, and anywhere else really for ideas on what to look into. When we have something we report it to players on this page. 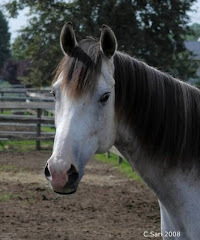 Also at this time HANA's work with Equibase was made public and "Scratches Today" was borne. For the full story of how this came about Jeff wrote an article which Ray Paulick printed here. It took many months, but we thank Hank and crew for turning this idea into a reality. Some kinks need to be worked out, for example, NYRA is currently not participating, but we hope this grows and is perfected in the coming months. In November we finally completed our 50 question HANA member survey. Well over 500 of you answered the questions on the survey. We have been a little lax in getting a lot of it out, but more and more will be released over the coming months. We would like to publicly thank Dan Needham for offering his expertise on this. He worked tirelessly to make it a reality and it was no small feat. For his work he was paid the princely sum of nothing; we can not possibly thank him enough. For the first quarter of 2010 we are working on several items, which we hope to have some news for. One, the 2010 HANA track ratings are in the works. Two, we will continue working with Arizona to make some hopeful improvements there. Three, we are trying to set up a handicapping seminar/HANA day at Keeneland for the spring. In addition we will be doing what we always do: Keeping in contact with industry insiders on improvements (and letting them know when you are upset about something), blogging, issuing press releases and trying to grow. At the beginning of 2009 we were very small and virtually unnoticed. At the end of the year we are growing larger, as well over 1400 of you have signed up and lent a hand, and we have been written about, too. 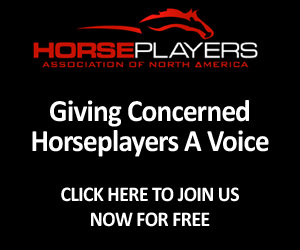 The Bloodhorse, Equidaily, The Paulick Report, The Thoroughbred Daily News, Horseplayer Magazine, myriad blogs and many other places have carried letters, pieces, or linked to HANA. We thank each and every one of them for helping. We received an email from someone influential in this business recently. In the email we thanked him for a mention and he replied "everyone should take HANA seriously. You are doing great work." It was high praise, and we hope to continue to earn that trust and respect in 2010 and beyond. To the silent ones who we have not mentioned who have helped, through donations, work, or just lending support, you know who you are and we offer our sincere thanks. To everyone who took time to sign-up for HANA, thank you for your continued support. If you would like to join us at HANA you can here. It's free.